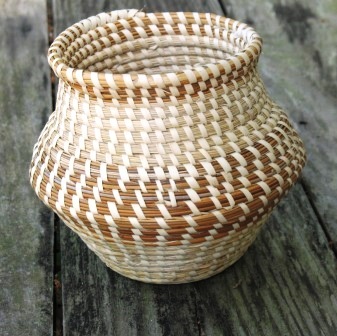 This small sweetgrass candy dish basket is ideal for serving candy and anything else you can think of! 5.5"X7"x1.5"
SWEETGRASS PENDANT Pendant will be the perfect accent or anyutfit. Size and bead colorvary. If you hve a specific color, please email me. SWEETGRASS VASE This vase ideal for your sweetgrass roses or dried flowers. SWEETGRASS VASE WITH LOVE KNOTS This is a larger sweetgrass vase with love knots. It is ideal for displaying your sweetgrass roses or dried flowers. SWEETGRASS VASE WITH TWIST TOP This sweetgrass vase is ideal for diplaying your sweetgrass roses or dried flowers. 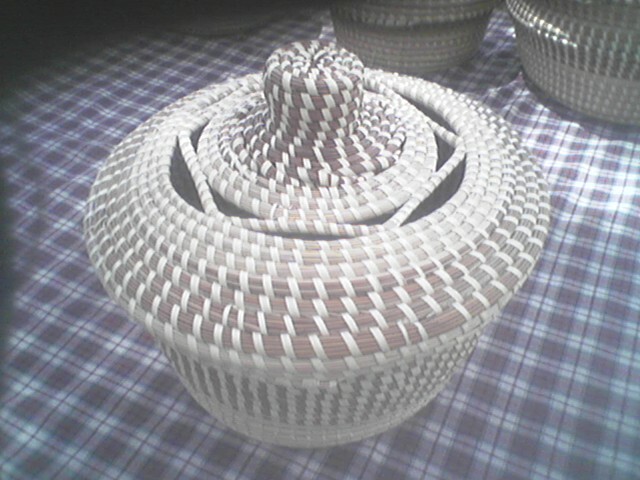 VERY LARGE ROUND SWEETGRASS BREAD BASKET This round bread basket is very large if you need bread for a crowd. VINTAGE TRAILER BIRDHOUSE This cute little birdhouse is perfect for the camper buff. WINE TASTING BIRDHOUSE The green birdhouse features a darling brick-red roof that's crawling with ivy. Because even a bird needs a drink once in awhile and your feathered friends won't be able to resist an overnight stop-over at this quaint cottage winery! Faux wine barrels perch outside, welcoming your feathered friends to the perfect place to unwind. This vase ideal for your sweetgrass roses or dried flowers. 6"-8" tall, 6"-8" in diameter. Sizes vary. 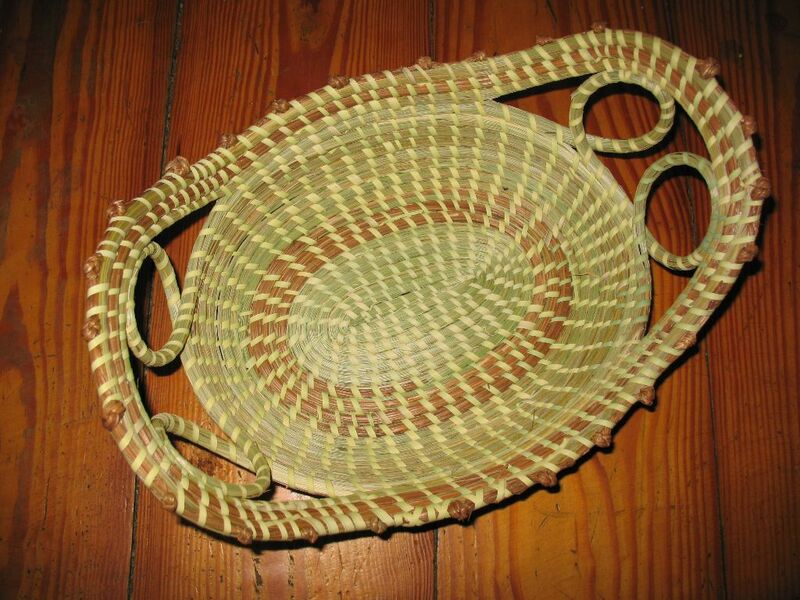 This large oval bread basket has two loops in each handle and love knots adorning the top. Approx. 12-14"x8-10"x5-6". Sizes vary.